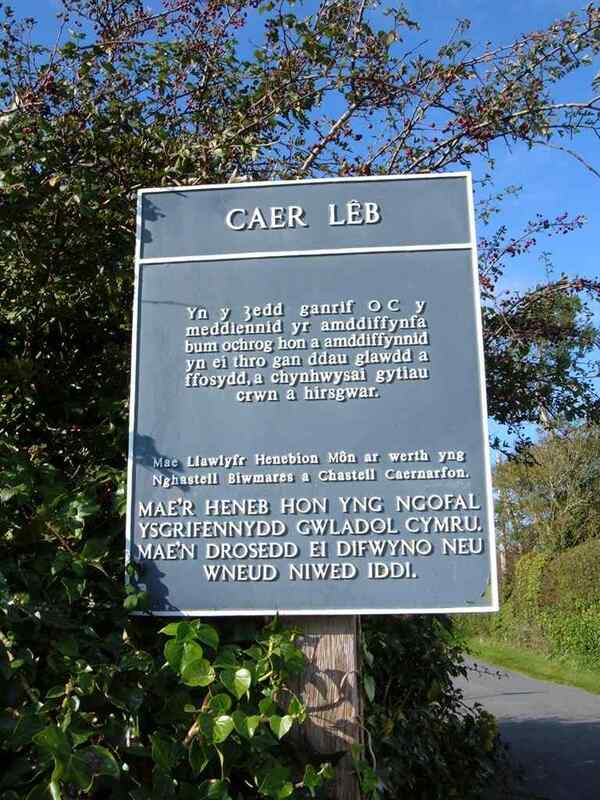 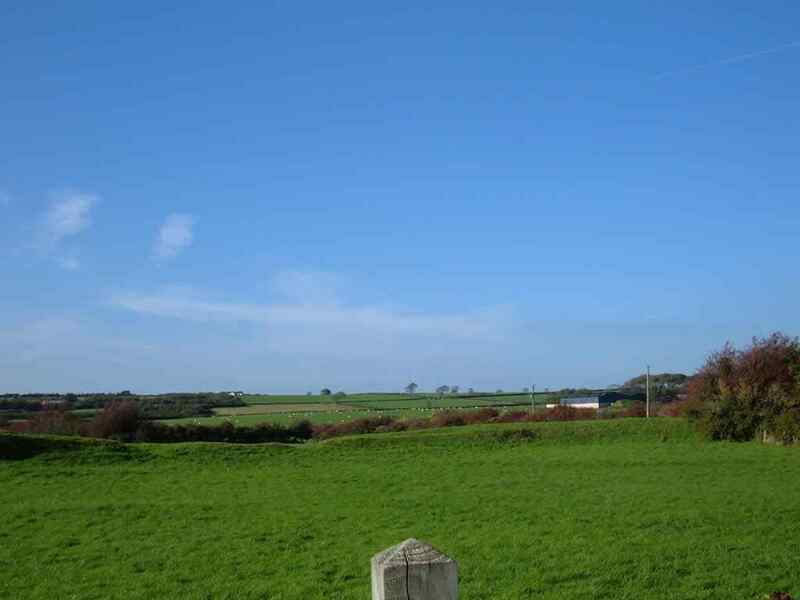 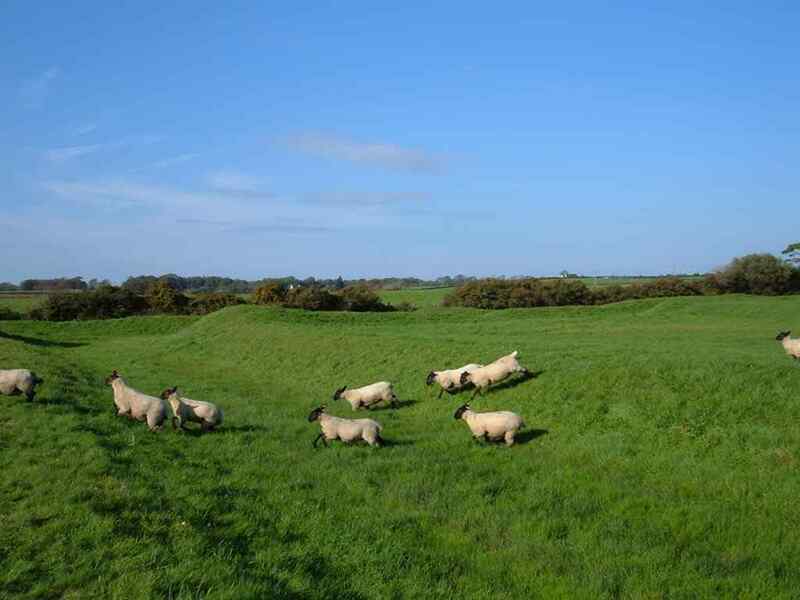 Caer Leb Ancient Settlement - an ancient monument on the island of Anglesey. 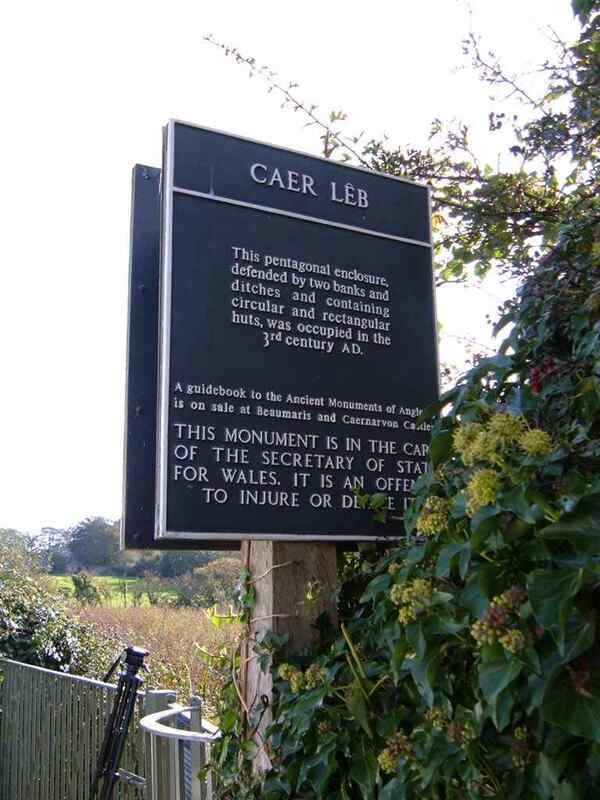 Caer Leb Pentagonal Enclosed 3rd Century Settlement SH 473675. 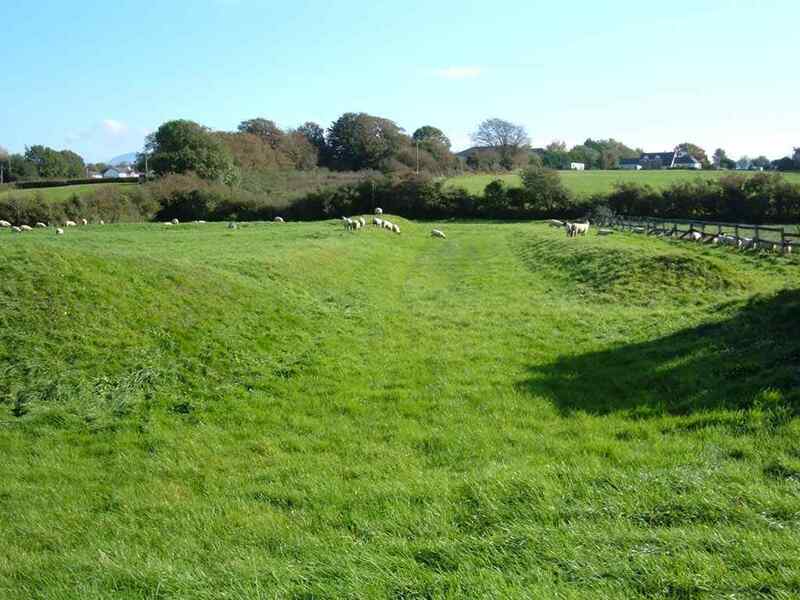 Located off the A4080 Dwyran to Brynsiencyn road, this is easier to find with a Landranger map than to explain it. 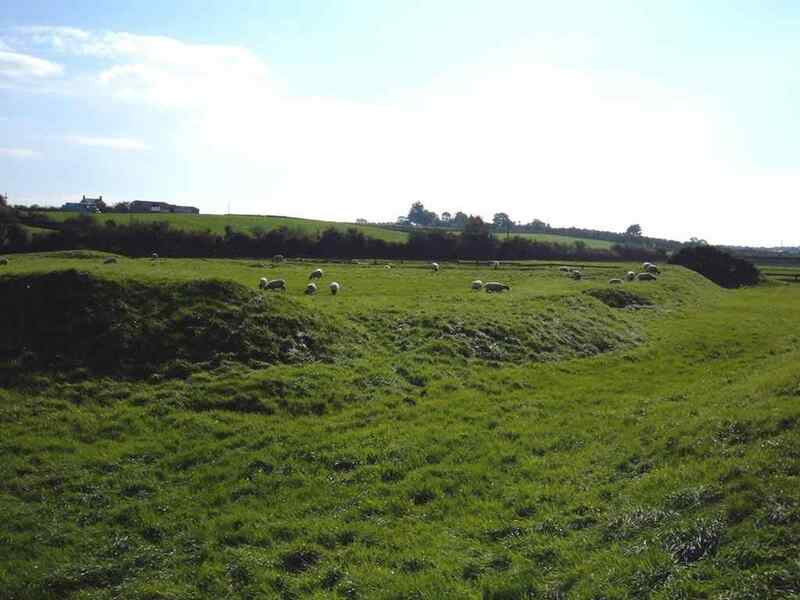 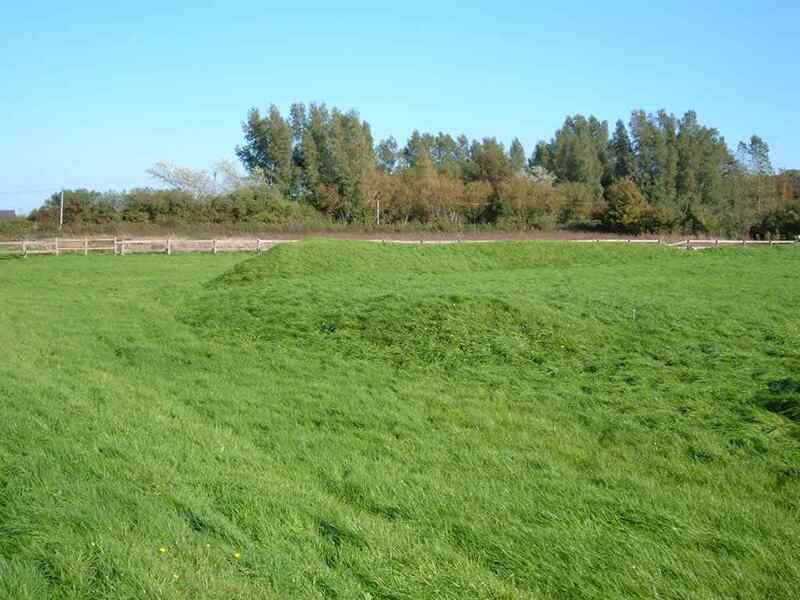 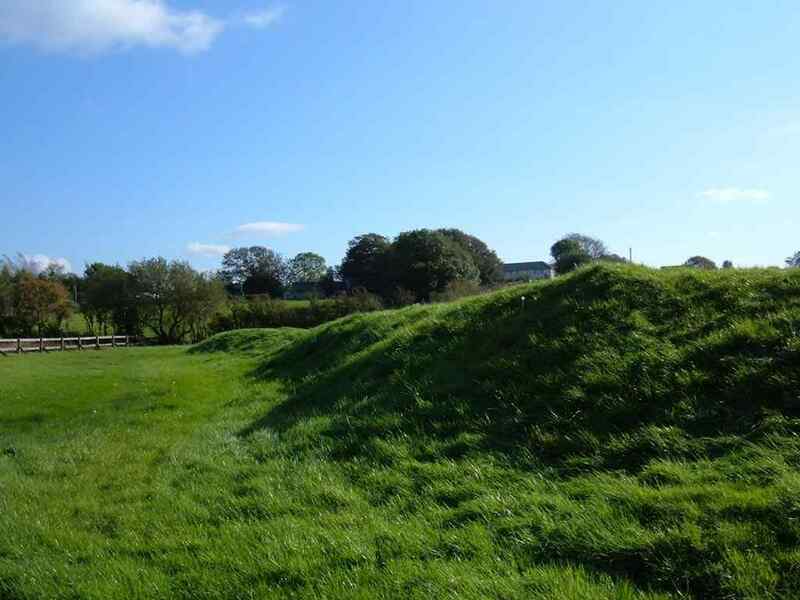 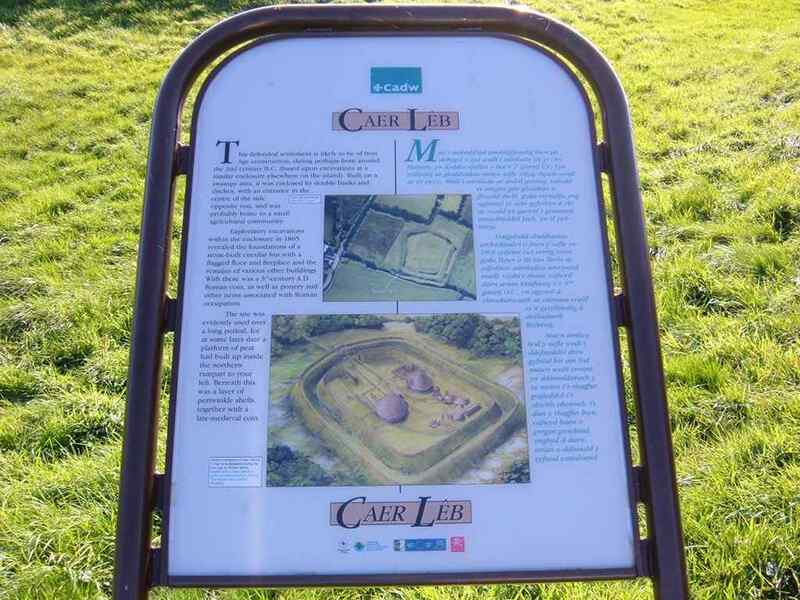 Caer Leb is a pentagonal enclosure, defended by two banks and ditches, once contained circular and rectangular huts which were occupied in the 3rd century. 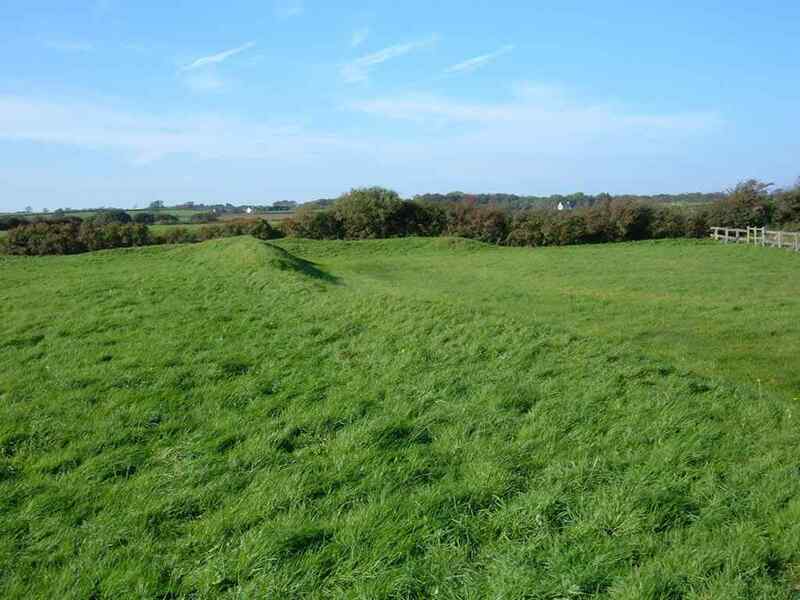 Each bank must certainly be a couple of hundred feet.